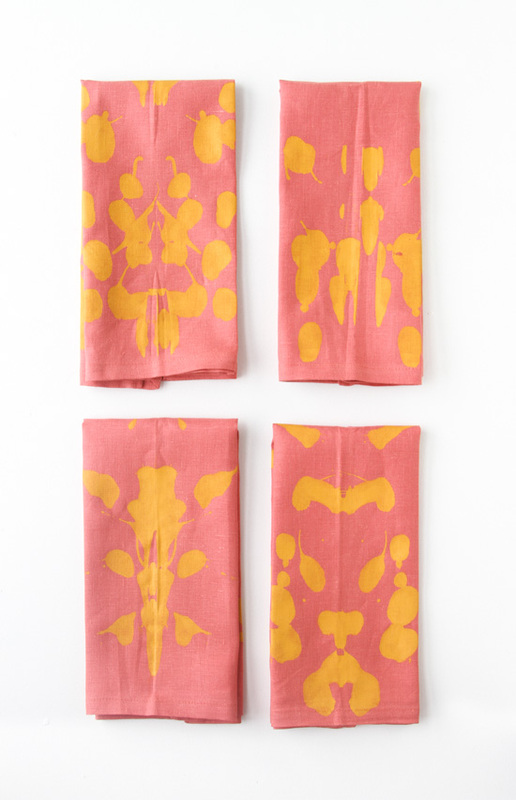 Inkblots are on my radar right now, in a big way, and I had a pretty large stack of fabric napkins laying around from last month’s workshop. 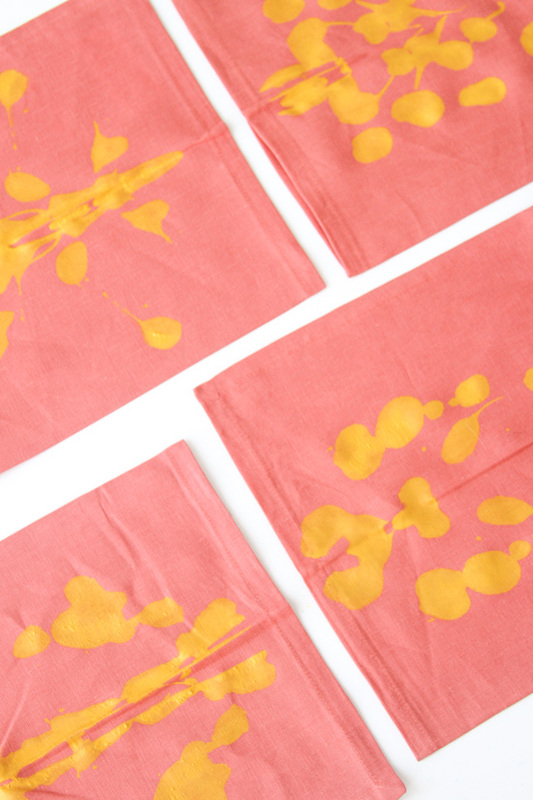 So, I made these easy inkblot napkins…and they took all of 5 minutes to complete (not including drying time). 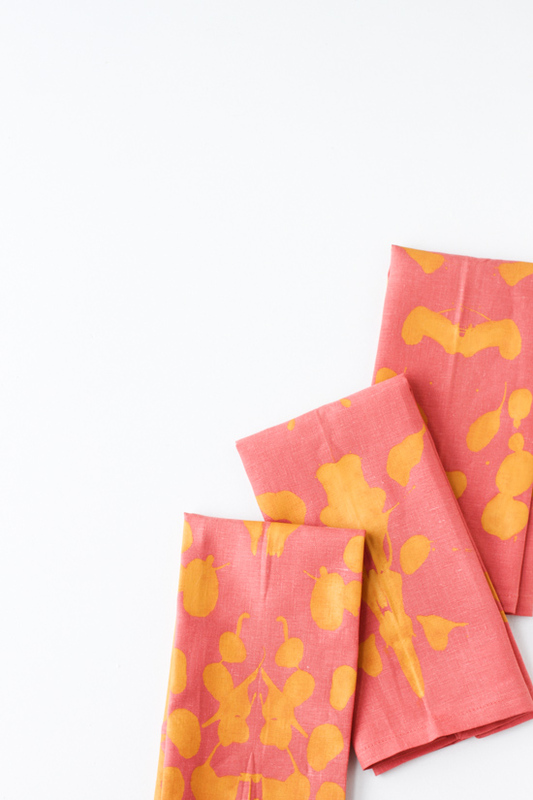 They’re great for everyday entertaining, but I was also thinking they would make a nice hostess gift or a Mother’s Day gift if your mom loves entertaining (or has a thing for napkins). 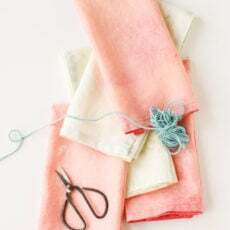 You could try the technique on other textiles as well, depending on what you’re looking for…tea towels, blankets, pillows, etc. 1. 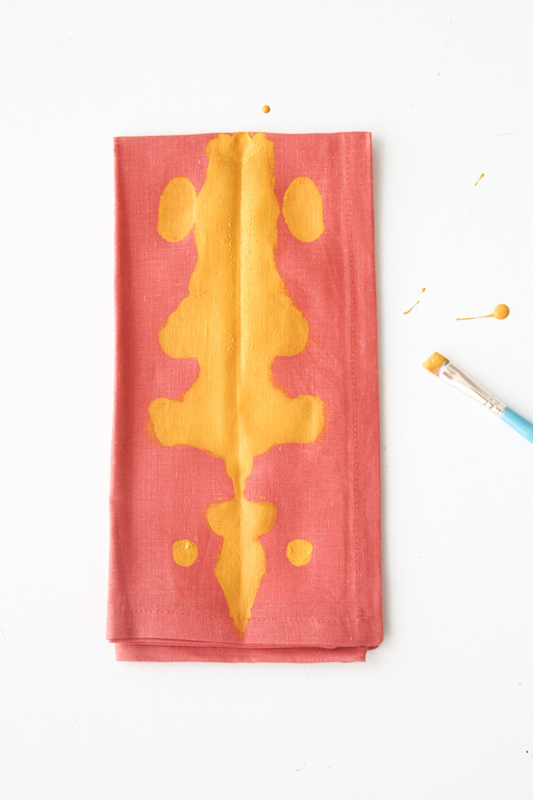 Squirt paint onto a fabric napkin at random. You can do long lines, dots, etc. If you concentrate the paint toward the center, you’ll get a more solid shape, like the example tutorial. But if you’re looking for more organic allover patterns, I would recommend staying away from the center for the most part with the paint. 2. Then fold the napkin in half and push down / smooth out. I found that after doing the first napkin, it’s actually better to unfold the entire napkin and then fold it over from there. I seemed to get more intersting patterns that way (which you can see in the second photo below). 3. Open up the folded napkin to reveal your inkblot design. If necessary, you can remove excess paint with a paint brush. Or just push the paint around so that it’s more even throughout. 4. Wait for the paint to dry and you’re good to go. Pretty simple right? P.S. I think that you can safely assume that I have a little bit of a DIY napkin problem now that I have an entire drawer (a pretty large drawer at that) dedicated to ’em. BUT I can’t help it. 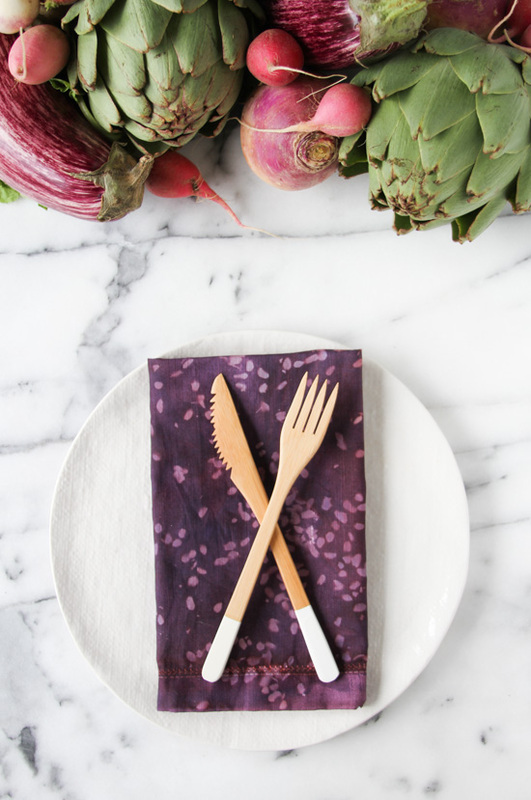 More DIY napkin ideas. I love this idea! 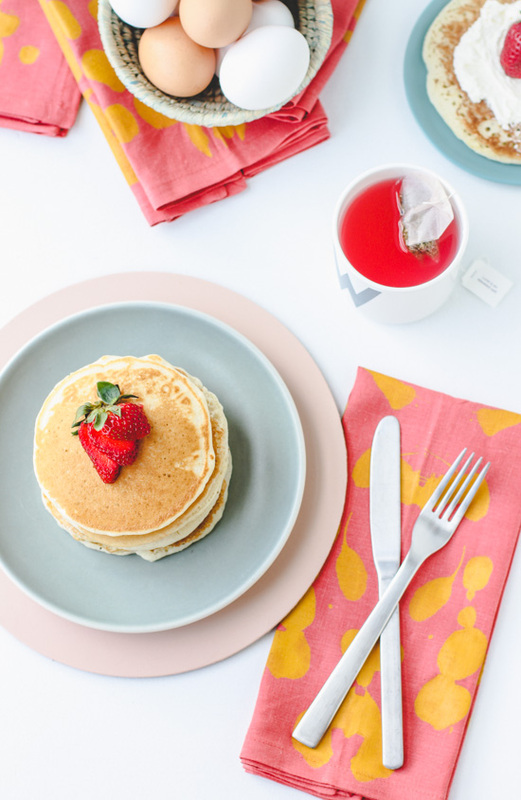 I have always been suspicious of painting napkins because the paint can make them stiff and unable to absorb, but this looks soft and perfect. I’m pumped to try! Awesome Sydney. Yep, they’re super soft still. 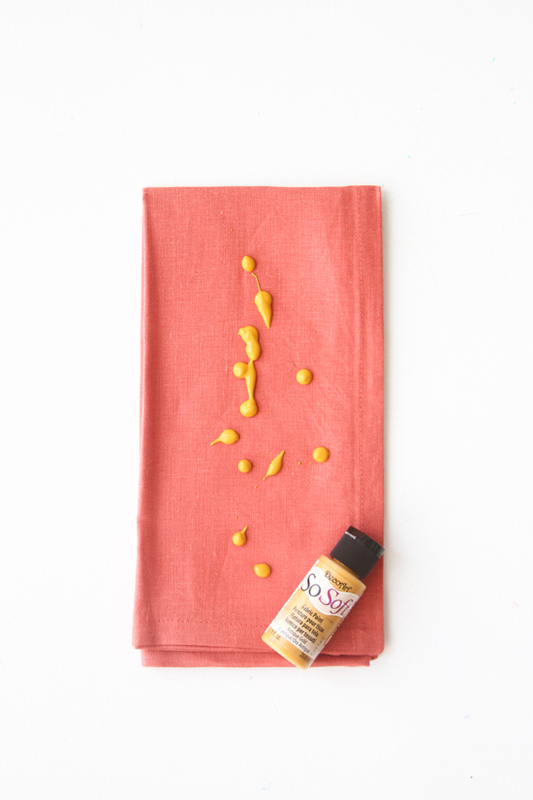 It’s actually one of the best fabric paints I’ve used (and I’ve tried quite a few). 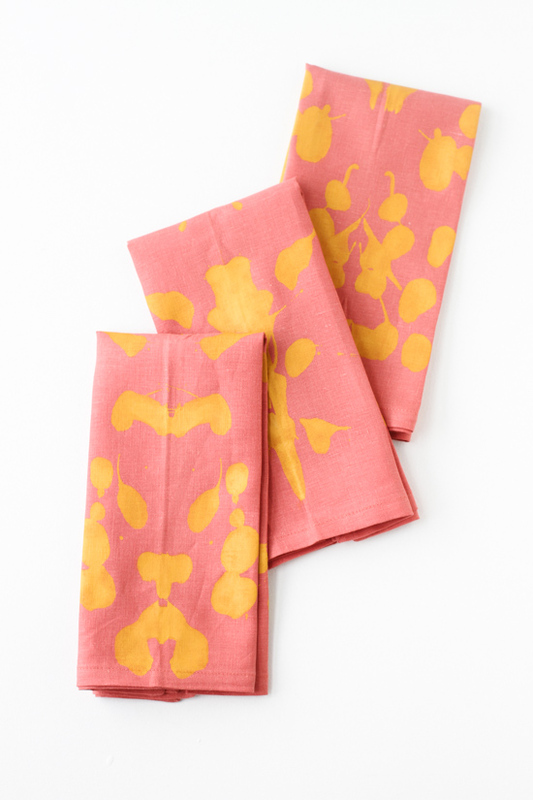 These napkins are so fun and easy! I definitely want to make some for spring! Thanks Paige! They definitely have that spring / summer vibe. This was so simple and looks so pretty! So fun and easy!! Love it!